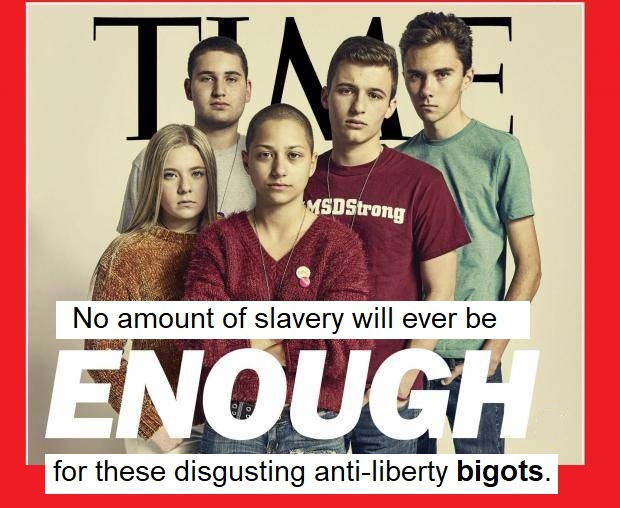 "The right to not be shot"
The anti-gun bigots are busy trying to portray their activism as support for "the right to not get shot". They lie. 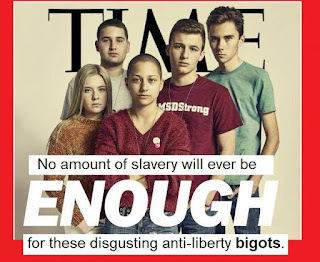 Yes, you have a right to not get shot (as long as you aren't archating, anyway) because no one has a right to shoot the innocent. That's not being disputed. The thing is, your right to not be shot doesn't give you the right to violate other people's rights, and when you do, they have the right to shoot you. They may choose not to, but you're a fool to count on it. If someone is not threatening to attack you, you have no right to use violence against him, including the violence of government, to violate his right to own and to carry any kind of weapon he wants, openly or concealed, everywhere he goes, without seeking permission of anyone, ever. His mere possession of a tool doesn't threaten you, and if you feel threatened by it, you are a pathetic, weak coward. You repel me. The right to violate other people's equal and identical rights can't be created. It doesn't exist if you repeal the Second Amendment. It doesn't exist no matter how many unethical, illegal, harmful anti-gun "laws" get imposed, enforced, or upheld by the Supreme Courtjesters. It doesn't exist no matter how cowardly you are, how loud you shriek, or how much the other anti-liberty bigots fawn over you. By demanding that government violate your neighbors, you are threatening them with violence, giving them a right to shoot you in self-defense if they determine the threat to be credible. And if they do, I will not grieve over your corpse. I'm done with disgusting parasites like you.